The 150th anniversary of the famous Gettysburg Address is on November 19, 2013. I remember learning about the Civil War and President Lincoln’s speech when I was a kid in school. I also had to memorize it. Children all over the United States will be talking about American history, the bloody war, and the President who held the Union together as this anniversary approaches. 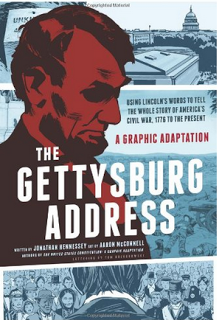 Historical writer, Jonathan Hennessey and illustrator Aaron McConnell, brings to life the Civil War, Abraham Lincoln and the Gettysburg Address in the book, “The Gettysburg Address: A Graphic Adaptation.” A graphic adaptation is presented like a comic book. This particular book is divided into chapters discussing the Civil War, the history of our government, President Lincoln, his famous Gettysburg Address and how the end of the Civil War impacted the future of our country and the Civil Rights Movement. This book is fascinating. 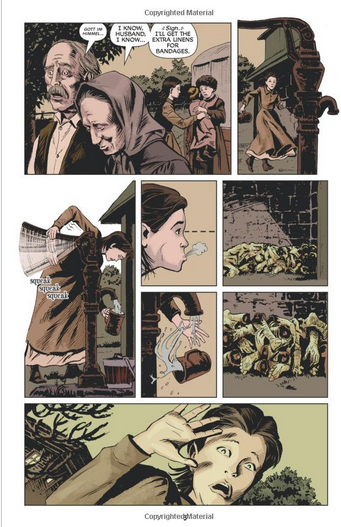 Hennessey and McConnell draw the reader in through stories about Americans, families, soldiers and government leaders during the Civil War. “The Gettysburg Address: A Graphic Adaptation,” would make the perfect addition to a high-school or college curriculum on the Civil War. I was intrigued by the stories and did not want to put the book down. You can purchase “The Gettysburg Address: A Graphic Adaptation,” on Amazon.com or at your local bookstore. *Disclosure: I received a copy of “The Gettysburg Address: A Graphic Adaptation,” in exchange for this review. All opinions are accurate and 100% mine. Jonathan Hennessey is a writer of fiction and non fiction. His muse is American History. He is the author of “The United States Constitution: A Graphic Adaptation” (Hill & Wang), and the upcoming Comic Book “Story of Beer” (Ten Speed Press). His first fictional graphic work “Synchroni-City,” is forthcoming from Legendary Comics, the publishing arm of the Hollywood production company Legendary Pictures. In addition to writing, he has worked in production and development in the film and television industry. Jonathan was born on a U.S. Army base in Massachusetts, grew up in New England, and currently resides with his wife and family in California. Aaron McConnell specializes in non-fiction comics and fantasy illustration. McConnell’s fantasy illustration has been influential to the role playing game 13th Age. 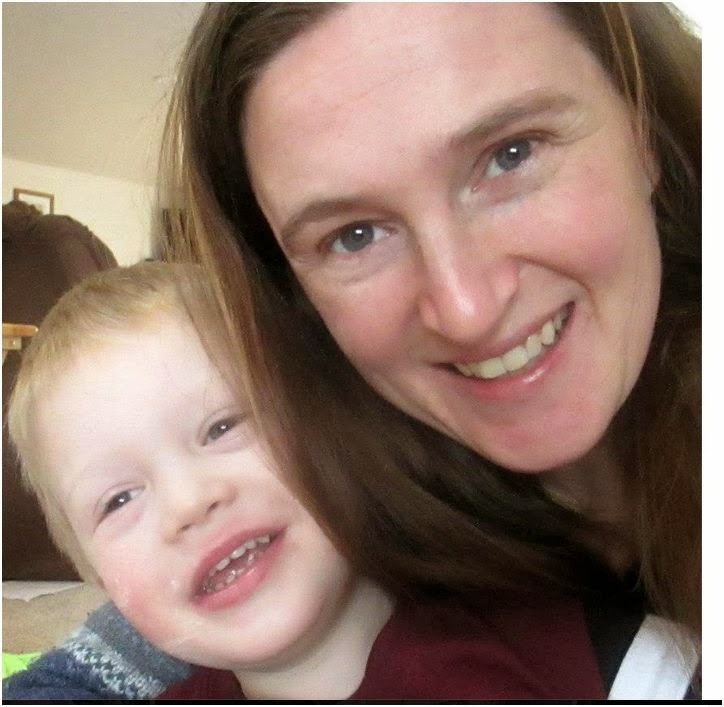 McConnell is a Washington State native and graduated from Central Washington University with a BA in 1999. He attended the Rhode Island School of Design and received a MFA in Painting in 2002. Following grad school McConnell began freelance illustration, and in 2006 moved to Portland, Oregon and became a member of Periscope Studio working on Marvel and DC titles.